There are a few open positions we have at the moment, if you can’t find what you want but still think you are cut out for startups and want to do something exciting in your life, feel free to write to us anyway … we are always looking for bright minds to work with. Does your mom, dad, friends or family blame you for spending way too much time on facebook, twitter or instagram or snapchat or any other social media? Do you think you are addicted to your phone or laptop? Are you one of those people who pretty much knows whats trending on a daily basis? Does social media really excite you? Does helping people with a need and making a difference in someone’s life give you satisfaction? If you can relate to any of the above, then we would really like to meet you and give you a serious purpose to utilise your skills. 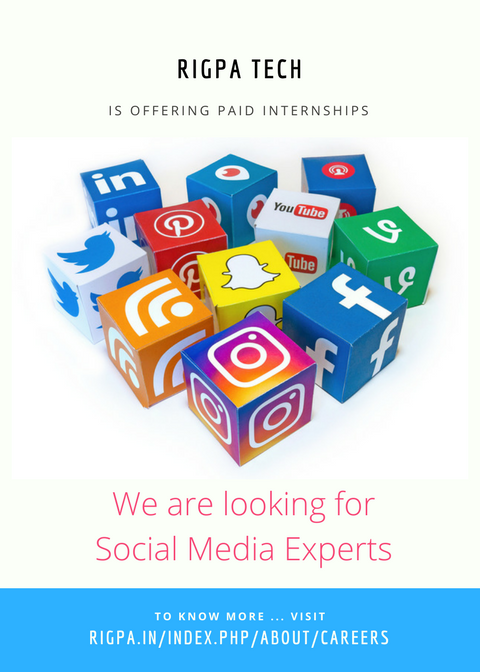 We are offering paid internships. Write to me at bharadwaj@rigpa.in telling me about yourself, your social media handles and I will get back to you. 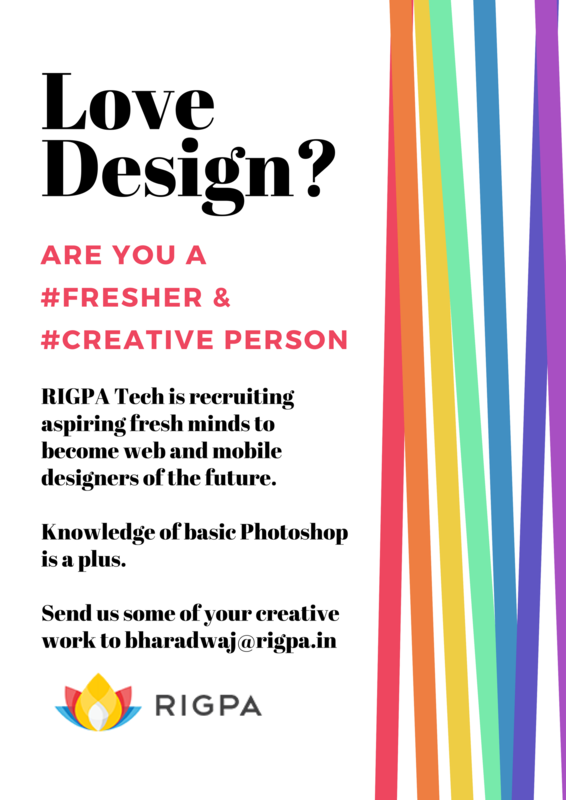 We are looking for freshers with a creative mind who aspire to be designers of the future! Come join a cutting edge startup and groom yourself to launch your career!